Applicable Charging Range: Mobile phone, Tablet, Navigation, Driving Recorder, etc. Convert your car cigarette lighter from 1 into 2, with 2 USB ports. Provide much more faster charge up to 2.1A each port. Multi-level Protection, avoid overcharge, over-voltage, overheating, overcurrent, overloading. 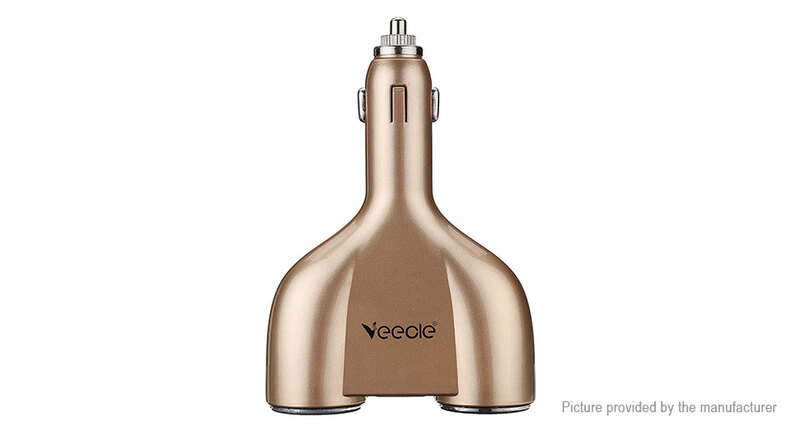 5V/2.1A Car charger designed for charging your phone, tablet, etc. It&apos;s compatible with most cars, trucks, vans and other vehicles with 12V-24V source.